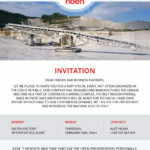 INVITATION - NOEN, a.s. | NOEN, a.s.
LET ME PLEASE TO INVITE YOU FOR A VERY SPECIAL EVENT, NOT OFTEN ORGANIZED IN THE CZECH REPUBLIC. THE BELT WAGON PV400Np. 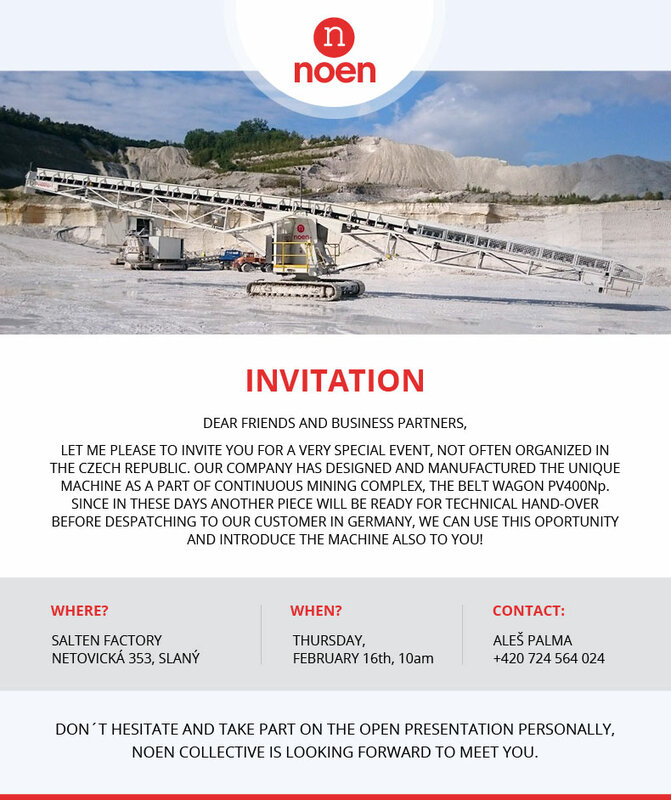 SINCE IN THESE DAYS ANOTHER PIECE WILL BE READY FOR TECHNICAL HAND-OVER BEFORE DESPATCHING TO OUR CUSTOMER IN GERMANY, WE CAN USE THIS OPORTUNITY AND INTRODUCE THE MACHINE ALSO TO YOU!